'width=device-width, initial-scale=1' name='viewport'/> Balloon Bash again! What a great card Ishani - I looooove your placement of the sentiment!! That is fabulous detailing. Aww.. thank you so much dear Maxine, am glad you liked it! I love these balloons! It's perfect for men or women! Thanks for joining us at Cards in Envy. I love the clean card design. 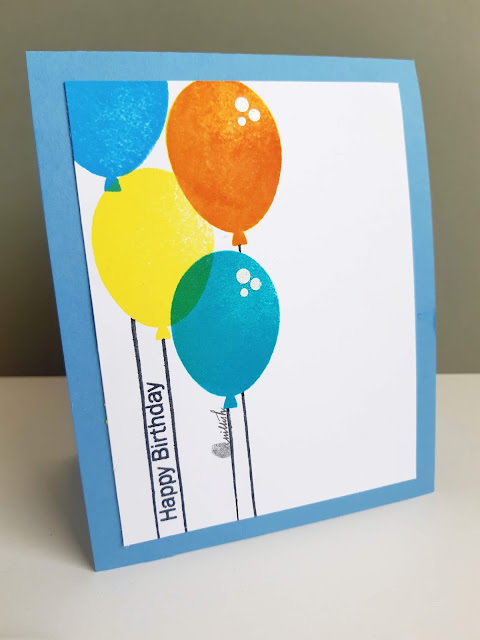 Those balloons are so fun and the colors are so cheerful. Thanks for playing with us over at Cards in Envy! A lovely CAS design, so colourful too.Thanks so much for sharing with us at The Male Room. Thanks for joining us at CAS-ual Fridays. I love a balloon card, it is perfect for anyone! Fabulous colours and colouring. 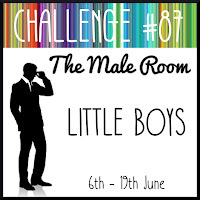 Thank you so much for joining us in our Little Boys challenge at The Male Room this week. Looking forward to see you again next challenge.